Cornell, Katherine and Michael Crabb. "Carol Marguerite Anderson". The Canadian Encyclopedia, 30 May 2018, Historica Canada. https://www.thecanadianencyclopedia.ca/en/article/carol-marguerite-anderson. Accessed 24 April 2019. Anderson studied ballet as a child and in 1973 became one of the first wave of graduates of the dance program at York University in Toronto. She also studied at the London Contemporary Dance Theatre and in New York. 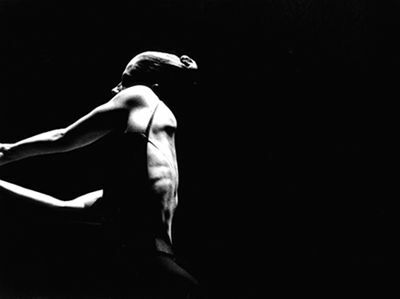 Dancer and choreographer Carol Anderson (photo by Cylla von Tiedemann/courtesy Dancemakers). Carol M. Anderson, choreographer, teacher, director, dancer, author (b at Regina, Sask 17 Jan 1951). Both as a founding member and later as choreographer and artistic director of Toronto-based repertory troupe DANCEMAKERS, Carol Anderson has made a significant contribution to the development of MODERN DANCE in Canada. Anderson studied ballet as a child and in 1973 became one of the first wave of graduates of the dance program at York University in Toronto. She also studied at the London Contemporary Dance Theatre and in New York. At York University Anderson was exposed to a wide range of dance influences and personalities. Among them was Judy JARVIS, with whose Toronto company Anderson performed while still a student and before becoming one of the founding members of Dancemakers in 1974. Anderson made an immediate impression at Dancemakers through the quality of her dancing in a wide range of work. By its second season she began to be a regular contributor to the company repertoire. From time to time she also worked independently, notably with Toronto Independent Dance Enterprise in 1979 and in 1981. Windhover, created in 1983 and revived in 1988 with its original Michael J. Baker score, has often been described as Anderson's signature work. It reveals the essence of her fundamental allegiance to the principal tenets of mainstream classical modern dance and to the notion that dance justifies itself. At the same time, Anderson has always rejected the description of her work as abstract. Although not overtly interested in narrative, Anderson's work evinces strongly humanistic concerns. Her Polyhymnia Muses (1987) is an expression of female affirmation, while her 1988 solo, d'Arc, distils the specifics of its historical title character into a more generalized statement of defiant womanhood. 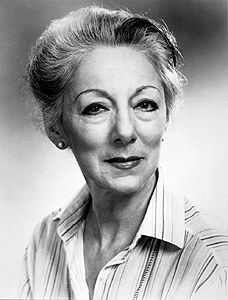 Her solo Elsinore was commissioned for Dancemakers' 25th anniversary; the Globe and Mail called it a classic of Canadian modern dance. 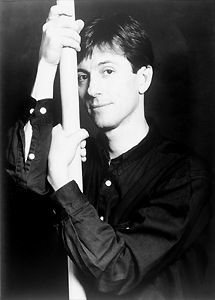 Since leaving Dancemakers in 1988, Anderson has continued to work independently as an occasional performer and more frequently as a choreographer, notably with the CANADIAN CHILDREN'S DANCE THEATRE and with independent dance presentations. In 1994 she choreographed the George Gershwin musical Lady Be Good for the SHAW FESTIVAL. She is an associate professor of contemporary dance at York University and as an author has developed a flourishing new dimension to her dance career. Her first book, Judy Jarvis, Dance Artist: A Portrait, was followed by Chasing the Tale of Contemporary Dance, Parts 1 and 2, a look at the state of Canadian dance at the millennium. Anderson then turned her attention to one of the pioneers of Canadian modern dance, in Rachel BROWNE: Dancing Toward the Light. Co-authored with Katharine Mallinson, Lunch with Lady Eaton: Inside the Dining Rooms of the Nation had a very different subject than dance; it won a Toronto Heritage Award of Merit. Anderson has also edited 2 significant anthologies about Canadian artists and written about one of Canada's renowned contemporary dancers in Unfold: A Portrait of Peggy BAKER. In connection with specific dance performances, "Carol's Dance Notes" are critical appreciations produced by DANCE COLLECTION DANSE for DanceWorks in Toronto. Carol Anderson, Judy Jarvis, Dance Artist: A Portrait (1993); This Passion: For the Love of Dance (compiled and edited, 1998); Chasing the Tale of Contemporary Dance (1999); Dancing Toward the Light: Rachel Browne (1999); Anderson and Joysanne Sidimus, eds, Reflections in a Dancing Eye (2005); Anderson, Unfold: A Portrait of Peggy Baker (2008); Anderson and Dorothy Woodend, eds, Lola Dance - Lola MacLaughlin: A Life in Dance (2010).